Getting older doesn't have to mean feeling older. 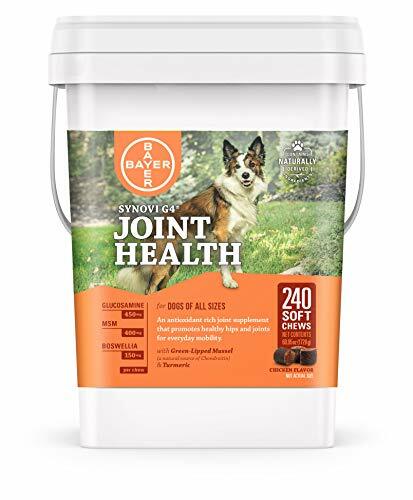 Dogs as young as three years old can experience wear and tear on their joints and it often goes unnoticed. 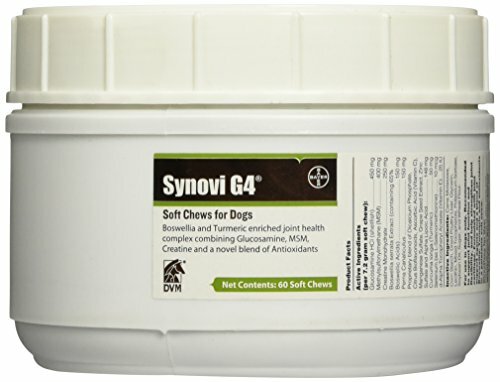 Help support your dog's ongoing joint health and mobility with Synovi G4 joint supplement soft chews from Bayer. 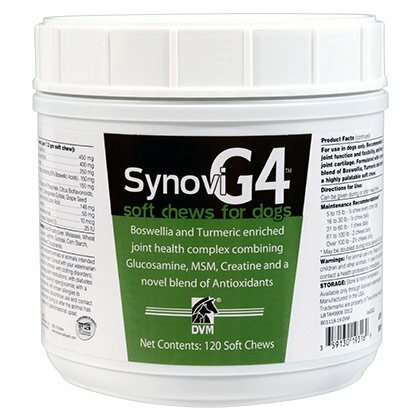 Synovi G4 is formulated on the established Synovi Matrix of joint health agents found in Synovi G3, which includes glucosamine, manganese and green-lipped mussel (a natural source of chondroitin), and is upgraded with the added antioxidant and joint health benefits of Boswellia serrata and turmeric. Bayer is proud to display the National Animal Supplement Council (NASC) Quality Seal, on all of our supplements. 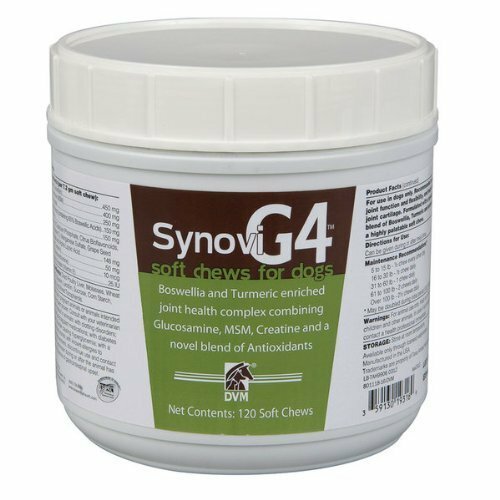 The NASC monitors animal health supplements through periodic reviews, inspections and testing. 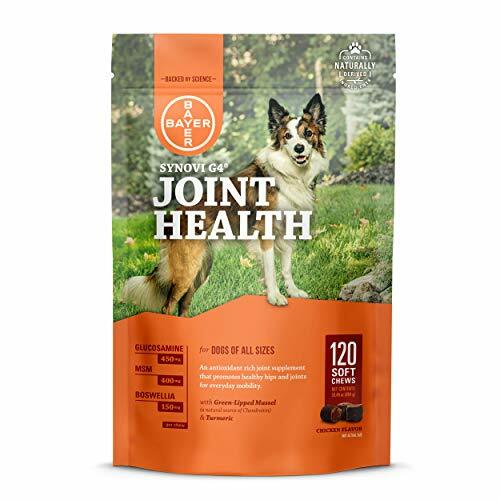 As a pet owner, you can feel confident that every supplement batch is made following procedures to verify that it meets quality control specifications and is labeled with accuracy and consistency.